ANKARA (Sputnik) - An Istanbul court ruled on Thursday that Metin Topuz, an employee at the US Consulate General in Istanbul, who is allegedly linked to the movement of exiled Turkish cleric Fethullah Gulen, shall remain in custody, Anadolu agency reported. ANKARA (Sputnik) - The Ankara chief prosecutor’s office said Monday it had ordered the arrest of a hundred military personnel over suspected links to a cleric blamed for the 2016 failed coup. 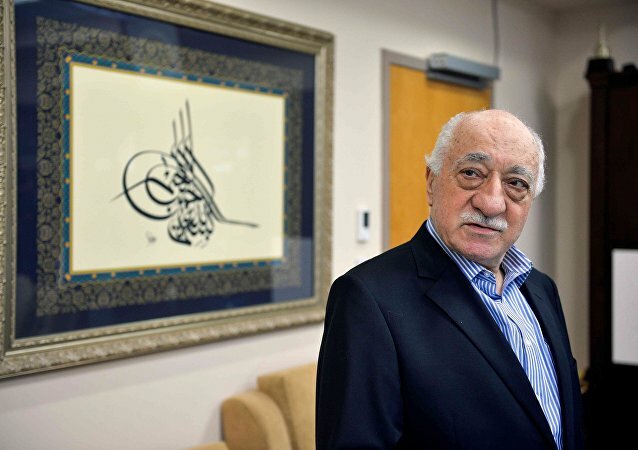 ANKARA (Sputnik) – Turkish President Recep Tayyip Erdogan has accused US authorities of acting insincerely over Washington’s reluctance to extradite Islamic cleric Fethullah Gulen, who is considered by Ankara as the main person behind a 2016 coup attempt. ANKARA (Sputnik) - Ankara’s Second Criminal Court for Serious Crimes started the first hearing on the case of the murder of Russian Ambassador to Turkey Andrey Karlov on 8 January, a Sputnik correspondent reported from the courtroom. WASHINGTON (Sputnik) - Two of former US National Security Advisor Michael Flynn's business associates are facing charges in the United States over illegal lobbying for Turkey, the Justice Department announced in a statement on Monday. US President Donald Trump is planning to extradite exiled cleric Fethullah Gulen to Turkey, according to a Sunday statement by Ankara’s foreign minister. 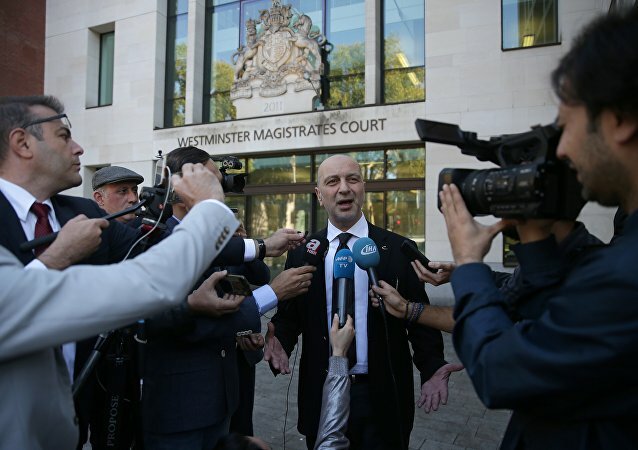 ANKARA (Sputnik) - A London court's refusal to extradite the former owner of the Turkish media holding Koza-Ipek, Akin Ipek, and two other Turkish citizens who are accused in their homeland of having ties with opposition Islamic preacher Fethullah Gulen, to Turkey is unacceptable, Turkish Foreign Ministry spokesman Hami Aksoy stated. 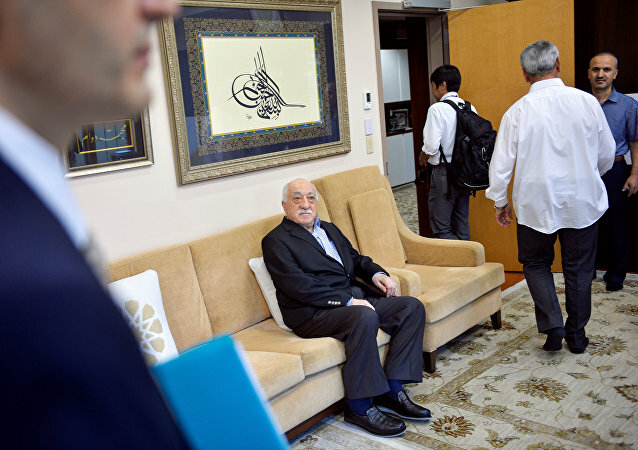 WASHINGTON (Sputnik) - Turkey has failed for two years to provide the US government with sufficient evidence for the extradition of Islamic cleric Fethullah Gulen, his media adviser and Alliance for Shared Values Executive Director Alp Aslandogan told Sputnik. ANKARA (Sputnik) - Turkish President Recep Tayyip Erdogan and US President Donald Trump discussed in phone talks on Friday the conflict in Syria, the murder of Saudi journalist Jamal Khashoggi and bilateral relations, the press service of the Turkish leader reported. WASHINGTON (Sputnik) - The White House has not taken any steps with respect to extraditing US-based Islamic cleric Fethullah Gulen amid the developments in the case of murdered Saudi columnist Jamal Khashoggi, US Department of State spokesperson Heather Nauert said in a press briefing. WASHINGTON (Sputnik) - The United States must ensure per its treaties cleric Fethullah Gulen is given due process amid reports of his possible removal to Turkey, the Hizmet-affiliated Alliance for Shared Values (AFSV) said in a statement on Thursday. WASHINGTON (Sputnik) - The Trump administration is looking for ways to remove exiled Turkish cleric Fethullah Gulen from the United States in order to appease Turkish President Recep Tayyip Erdogan, MSNBC reported on Thursday. ANKARA (Sputnik) - Turkey is demanding extradition of 452 people from 83 countries over their alleged links to the movement of Islamic cleric Fethullah Gulen, Turkish Foreign Minister Mevlut Cavusoglu said on Wednesday. Turkish Islamic cleric Fethullah Gulen lives in exile in the US, while Ankara demands his extradition to Turkey. 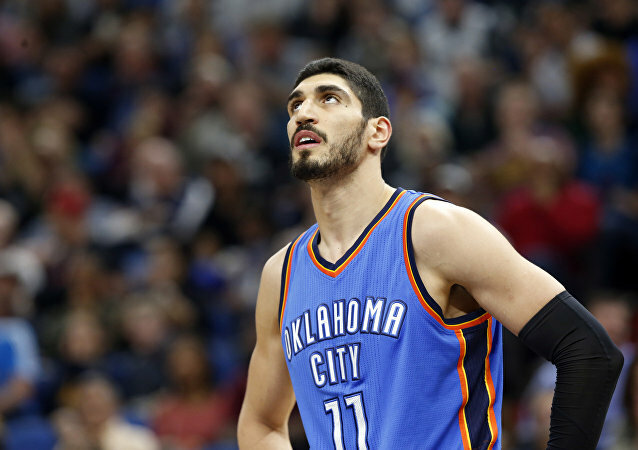 According to Turkish authorities, his movement was behind the failed coup of July 2016.